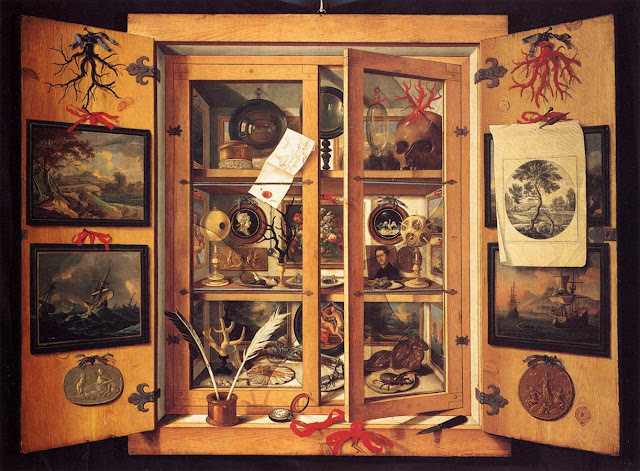 A Wunderkammer is a collection of curiosities–fossils, unicorn horn, odd rocks, etc. Here’s my collection of odd links and bits of information. The science of tickling. I want a grant to tickle animals! Why do all the other researchers have more fun? A fascinating study concerning successful treatment of radiation poisoning. I worked for many years in facilities where radiation badges were a routine fact of life, and it was amazing how little we really knew about the physiological effects of radiation. There’s evidence that we are better at repairing low-level damage than we thought.